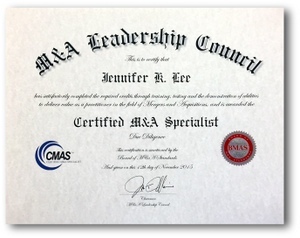 The M&A Leadership Council began issuing Certified M&A Specialist credentials on January 1, 2016. Attendees of Council training programs in 2013, 2014 and 2015 have already earned credits toward their CMAS certification. So don't delay and start earning your CMAS credits TODAY. Every active candidate must complete each element of the THREE E's of the CMAS Certification: Education, Experience and Exam. Candidates must accrue at least 200 credits by taking M&A Leadership Council training courses, which range from 45 to 72 credits per course; prior attendees of programs presented in 2013-2015 will receive from 15-72 credits, depending on year taken and course topic. Candidates must also complete at least two Experience Submission Forms, earning from 25 to 100 credits each. Each Experience should focus on a completed, publicly documented transaction. Once the credits are earned, a candidate is eligible to take the Fundamentals Exam; passing candidates are awarded their certificates as Certified M&A Specialists. Those who need to retake the exam may do so for an additional fee. All active candidates for certification will receive the materials required to complete CMAS certification (payment may be made by check or invoice, and books will be shipped when payment is received), and are eligible for extra training discounts. FUNDAMENTALS EXAM: A timed (72 hours allowed), open-book exam is your final requirement for certification. 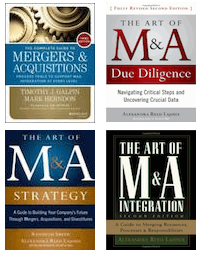 Once you’ve reviewed the content in your M&A Library, you will log in to take a 60-question fundamentals exam. Exam participants may work through the test in one sitting or complete it partially and return to it periodically until completed. Our goal is for you to learn the material, not disqualify you. A passing grade of 70% will entitle the candidate to become a Certified M&A Specialist. Additional exams, if needed, will require an additional fee of $100. 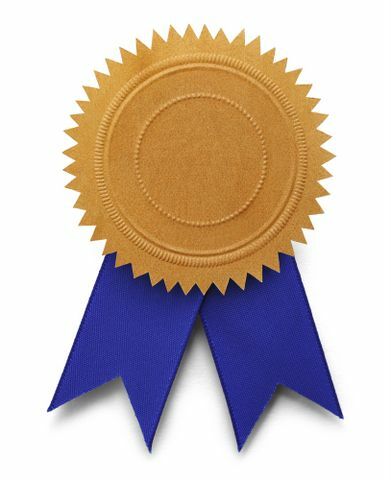 Credits awarded will range from 25 to 100 per Initiative; your submission(s) will be evaluated on deal size and type/complexity; duration of your experience in your role; how instrumental you were to the success of the deal; any innovations contributed and/or new learnings that were gleaned as a result of the experience.